I wasn’t going to write this post as there’s a chance its going to make me look pretty silly but decided that its good to show that travelling with kids is not always perfect and that the best made plans don’t always go as planned! 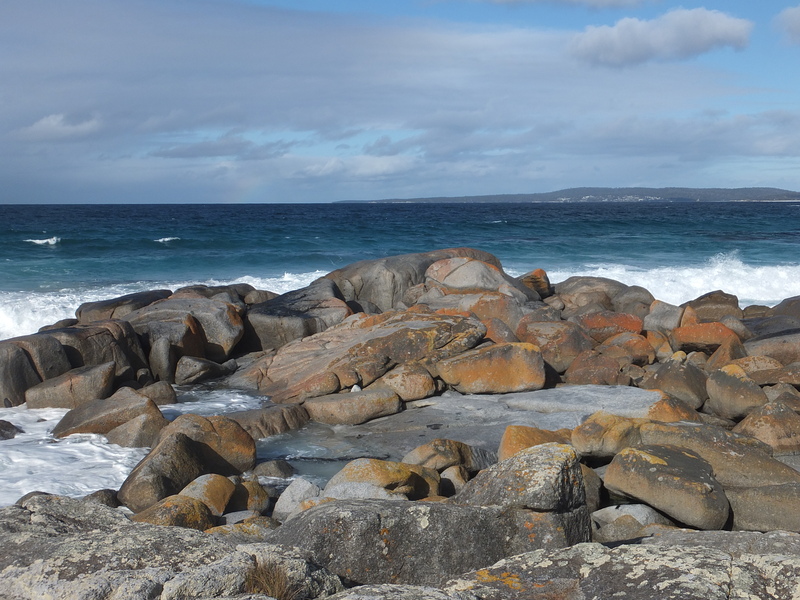 Bay of Fires Tasmania was to be the highlight of the trip…. I took the kids to Tasmania for a holiday and stayed at Swamp Cottage in Launceston, Craig only came across for the weekend and visited Cradle Mountain with us, the rest of the time it was just me and the kids. The kids and I went across on the Spirit of Tasmania ferry with our car and Craig flew in a night later. Tasmania is an amazing place to view the Southern Lights although you do need to know the best spots to view them from and I decided I would do it another time as the kids wouldn’t find it that exciting. 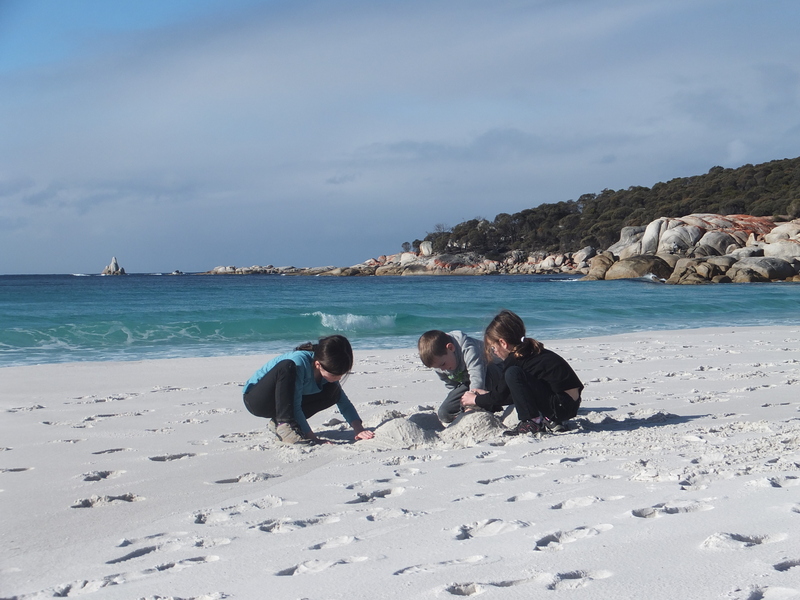 On Tuesday I decided to go to the Bay of Fires Tasmania, which was going to be a highlight of this trip and do a relaxing Bay of Fires walk with the kids. I was really looking forward to it as it was something I hadn’t seen yet. 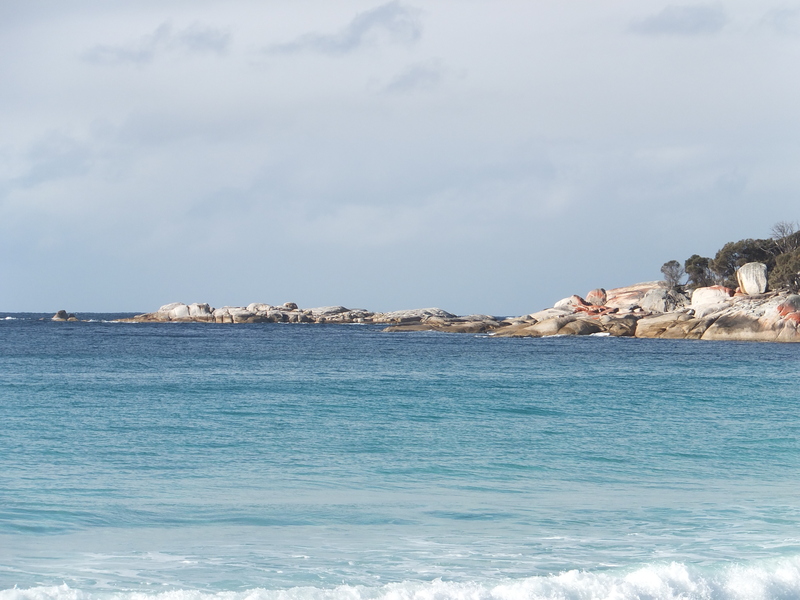 I have been to Tassie a few times and have seen most of the main attractions there but the Bay of Fires was something I was yet to see. Great spot to wander around on the rocks. 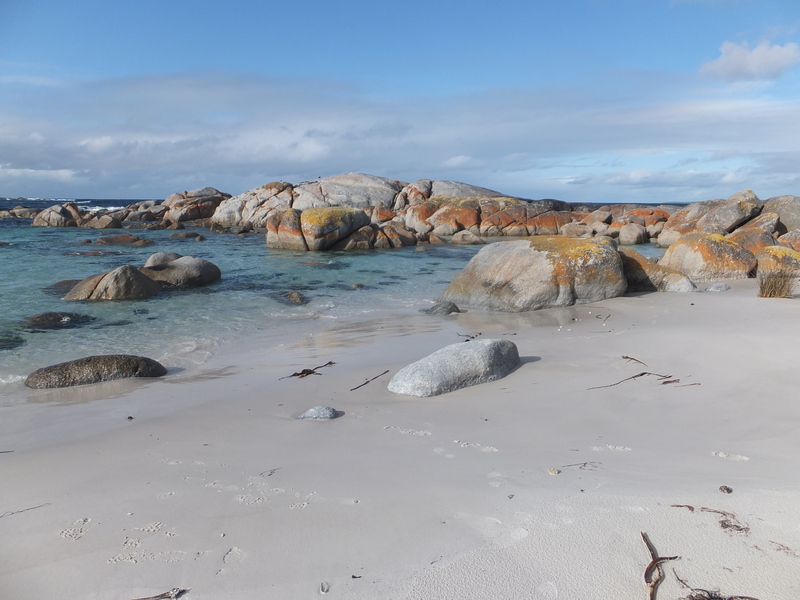 We were staying in Launceston about a 2.5hrs drive from the Bay of Fires, I left Launceston about 9.30am and expected to be there about midday, we would stop and have lunch and then explore. On this occasion I hadn’t done a huge amount of research as I thought I would wing it a bit and just go with the flow. Big mistake. The Bay of Fires Tasmania or not! We drove in to St Helene’s and for whatever reason I didn’t see the Information Centre. I followed the signs to the Bay of Fires. This took us a further 30min drive until we come to Binnalong Bay. This is a small town very close to the Bay of Fires and I stopped at the public toilets and to look for any directional signage. I asked a local lady who was out walking her dog, where the Bay of Fires was and she said that we had missed the turn off. I headed back and followed her directions. We drove for miles, it was like we were driving in the sand dunes on a road along side the ocean. I wasn’t sure what I was looking for or how far to go. We went about 15kms down the road and there was absolutely no one around. By this stage the kids were getting hungry and tired of sitting in the car. I stopped in a few places and took some photos and then we had a little walk on the beach and the kids made sandcastles and did cartwheels for a while. My phone had no reception at this stage so I was unable to do a google search for what I was looking for. It was getting close to 1pm by this stage and to add to my disappointment the tide was well and truly in therefore preventing us from going on any decent walk on the beach. This was the middle of winter – 1st week of July and look at that sunshine! We decided to head back to St Helene’s for lunch and see if we could get any further information. We had lunch at the local bakery and the kids decided they wanted to have a play at a playground instead of going back to the Bay of Fires. How could I argue they had spent over 3 hrs in the car and only had about 40mins outside and we still had to drive over 2.5hrs back to Launceston. I’m fairly certain I missed the best bits but I sure loved what I did see! It was 3pm when we left St Helene’s and I still didn’t see the Information Centre on the way back to Launceston. The drive was long and the kids were tired, the little ones slept for part of the way back. I was really disappointed as I knew that I had missed something spectacular and it was my own fault for not researching it properly. I just assumed it would be really straight forward, its a beach right, how hard could it be! The kids loved playing in the sand and making sandcastles. I did get some photos as you have seen but its nothing like the photos I have seen of others. 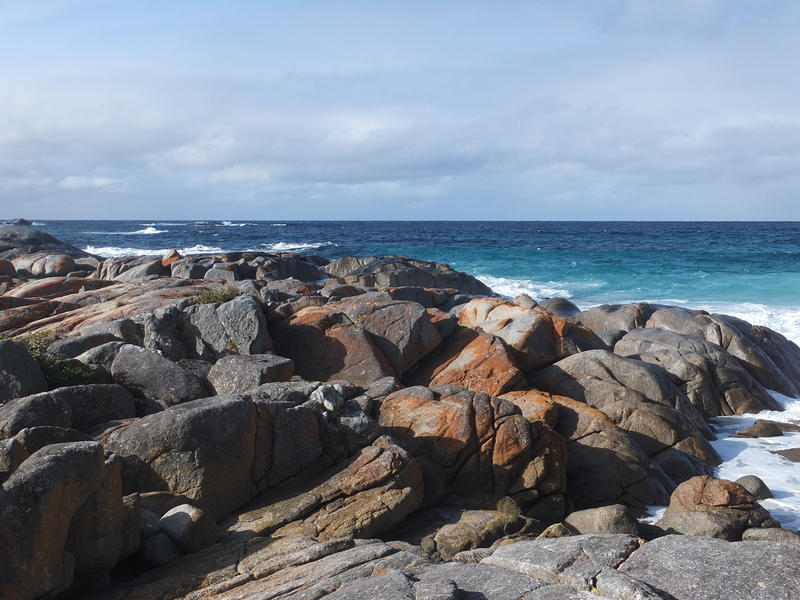 I felt like I had let everyone down as seeing the Bay of Fires was the main thing we were in Tasmania for. I was so looking forward to it but everything doesn’t always go to plan. Like missing the snow at Cradle Mountain by 24hrs the day we were there. A couple of things actually. Firstly, do your research! I should have known better. I should have put the St Helene’s Information Centre into the GPS and gone straight there. If I had of gone straight there instead of following the signs I would have got the right information straight up. I expected it to be busy and plenty of people around so I shouldn’t just assume. Secondly, I have learnt that I should have stayed out there for at least one night. 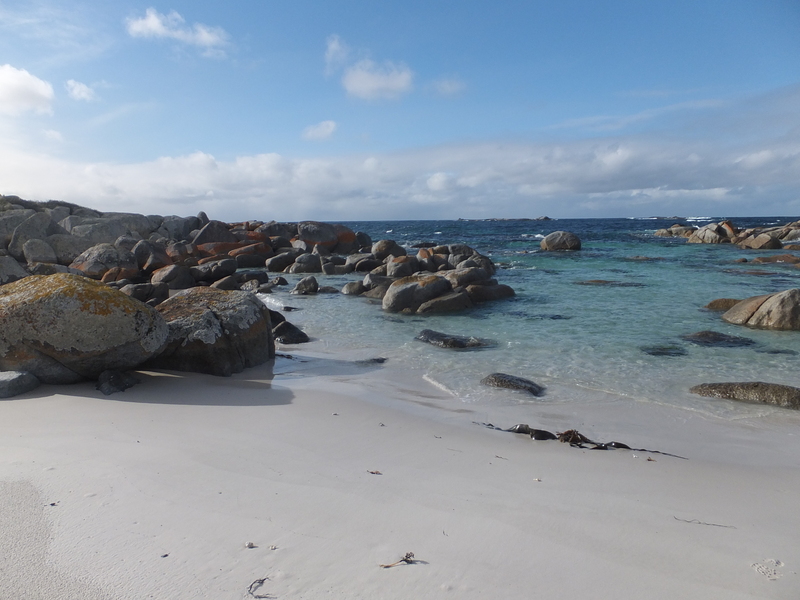 The Bay of Fires was to be a highlight of the trip so why didn’t I plan to do a circuit and stay there a few nights. To be fair, a 5 hour round trip was a bit ambitious to start with and if I wanted to explore, what was I thinking? Who wouldn’t want to spend a few days enjoying this view? Thirdly, I have learnt I have to go back and do it properly. I could spend a few days in the area and really tick it off and experience it all. Originally I wanted to do the Bay of Fires and Wineglass Bay in one day, I realised about 2 hours into the drive that that wasn’t going to happen! I always tell people travelling with families to slow down and try not to fit to much in, yet I don’t take my own advice. Why that is, I don’t really know. Even though it was winter it was a beautiful sunny day, if we had of stayed out there the kids could have spent the day building sandcastles and not sitting in the car. I will put it down to experience being my first holiday with the kids alone without Craig. I had meticulously planned every other day and it all went off as planned. I am disappointed more than anyone else because I know what I missed out on! 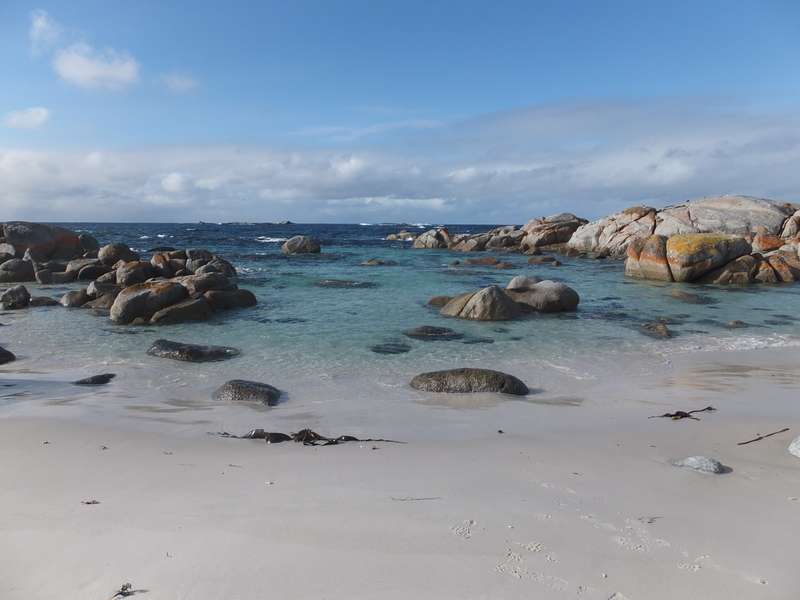 I will go back to Tassie, won’t be this year or next, maybe 2019 and I will be making the Bay of Fires #1 on the list. We did visit a few other places in Tassie though including Mole Creek Caves, Cataract Gorge, Seahorse World and Platypus House. These activities all went to plan! Oh Sally! How disappointing. Thanks for sharing – there’s a lot of wisdom we can take away from your mistakes. The beach you went to looks pretty amazing anyway. I was pretty disappointing but I was more disappointed with myself than anything else. I should have done the research and it was the only thing I hadn’t researched and planned right down to the last details. I do hope someone benefits from my oversight! Just means I have to go back again! Suppose that can’t be a bad thing! Thanks for reading my post. Hello Sam, thanks for your comment, yes the upside is it made for a good blog post! I am much more organised this time as we are currently in Vietnam! I’m all over it! I do love Tassie so won’t be hard to return, its a affordable travel option for us Victorians as well.